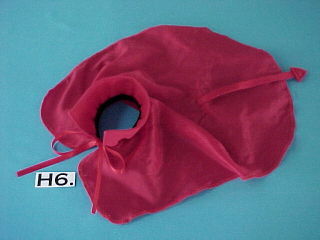 a pink satin inner ear for "Doggie Bunnies". Available in Pink, Black and White. 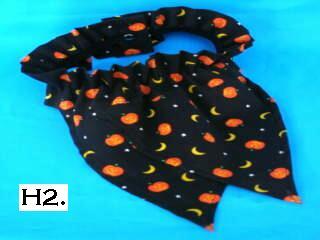 Made in a variety of spooky patterns. It is easy to put on and looks nice. around the waist with a 3/8" nylon belt.